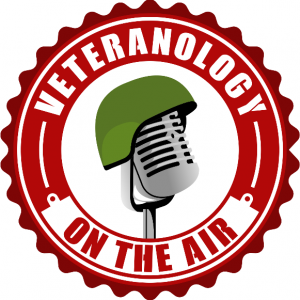 We are proud to announce our newest weekly segment here at Veteranology, Medal of Honor Monday. We will work to read one citation each week to not just inspire you to charge your own hills but to make sure these stories or heroism and duty continue to be heard. All our citation will be read from the Congressional Medal of Honor Society website, CMOHS.org. Captain Ed W. Freeman, United States Army, distinguished himself by numerous acts of conspicuous gallantry and extraordinary intrepidity on 14 November 1965 while serving with Company A, 229th Assault Helicopter Battalion, 1st Cavalry Division (Airmobile). As a flight leader and second in command of a 16-helicopter lift unit, he supported a heavily engaged American infantry battalion at Landing Zone X-Ray in the Ia Drang Valley, Republic of Vietnam. The unit was almost out of ammunition after taking some of the heaviest casualties of the war, fighting off a relentless attack from a highly motivated, heavily armed enemy force. When the infantry commander closed the helicopter landing zone due to intense direct enemy fire, Captain Freeman risked his own life by flying his unarmed helicopter through a gauntlet of enemy fire time after time, delivering critically needed ammunition, water and medical supplies to the besieged battalion. His flights had a direct impact on the battle’s outcome by providing the engaged units with timely supplies of ammunition critical to their survival, without which they would almost surely have gone down, with much greater loss of life. After medical evacuation helicopters refused to fly into the area due to intense enemy fire, Captain Freeman flew 14 separate rescue missions, providing life-saving evacuation of an estimated 30 seriously wounded soldiers — some of whom would not have survived had he not acted. All flights were made into a small emergency landing zone within 100 to 200 meters of the defensive perimeter where heavily committed units were perilously holding off the attacking elements. Captain Freeman’s selfless acts of great valor, extraordinary perseverance and intrepidity were far above and beyond the call of duty or mission and set a superb example of leadership and courage for all of his peers. 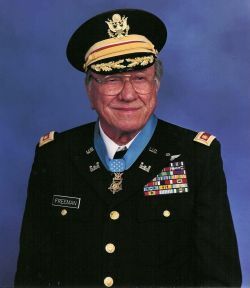 Captain Freeman’s extraordinary heroism and devotion to duty are in keeping with the highest traditions of military service and reflect great credit upon himself, his unit and the United States Army.